GATE Exam Pattern- all the candidates’ preparing For GATE exam can check the Paper Pattern of their respective GATE 2019 exam papers to know the subjects, topics covered , marks distribution and duration of exams that will help candidates in cracking GATE 2019 examination. 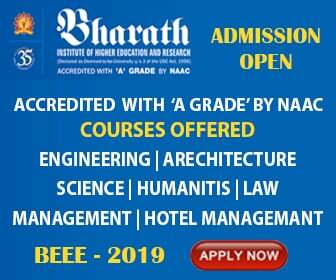 All the papers of GATE Exam will have questions that test the General Aptitude (Language and Analytical Skills), apart from the core subject of the paper. Candidates will benefit in their exam preparation if they know the GATE 2019 Exam Pattern before hand. The choice of two sections from B to H can be made during the examination after viewing the questions. Only two optional sections can be answered at a time. A candidate wishing to change midway of the examination to another optional section must first choose to deselect one of the previously chosen optional sections (B to H). The choice of two sections from Q to U can be made during the examination after viewing the questions. Only two optional sections can be answered at a time. A candidate wishing to change midway of the examination to another optional section must first choose to deselect one of the previously chosen optional sections (Q to U). In all the papers, there will be a total of 65 questions carrying 100 marks, out of which 10 questions carrying a total of 15 marks will be on General Aptitude (GA). In the papers bearing the codes AE, AG, BT, CE, CH, CS, EC, EE, IN, ME, MN, MT, PE, PI, TF and XE, the Engineering Mathematics will carry around 15% of the total marks, the General Aptitude section will carry 15% of the total marks and the remaining 70% of the total marks is devoted to the subject of the paper. Multiple Choice Questions (MCQ) carrying 1 or 2 marks each in all papers and sections. These questions are objective in nature, and each will have a choice of four answers, out of which the candidate has to mark the correct answer(s). Numerical Answer Questions of 1 or 2 marks each in all papers and sections. For these questions the answer is a real number, to be entered by the candidate using the virtual keypad. No choices will be shown for this type of questions. i.Recall: These are based on facts, principles, formulae or laws of the discipline of the paper. The candidate is expected to be able to obtain the answer either from his/her memory of the subject or at most from a one-line computation. ii.Comprehension: These questions will test the candidate’s understanding of the basics of his/her field, by requiring him/her to draw simple conclusions from fundamental ideas. iii.Application: In these questions, the candidate is expected to apply his/her knowledge either through computation or by logical reasoning. iv.Analysis and Synthesis: In these questions, the candidate is presented with data, diagrams, images etc. that require analysis before a question can be answered. A Synthesis question might require the candidate to compare two or more pieces of information.